When your team’s a player or two up, who has the knack for lighting the lamp? As for the names on the list, here are a couple of hints: a pair of teammates deliver a one-two strike for the league’s No. 1 team, while a three-time Ted Lindsay Award recipient continues to capitalize on the power-play. 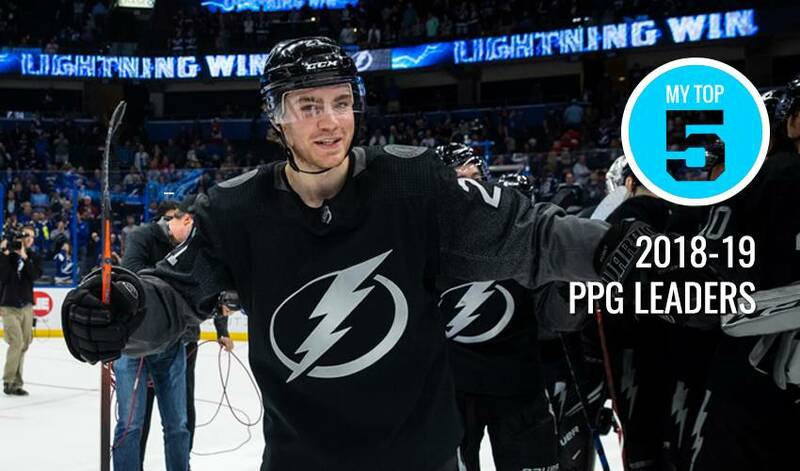 Half of the Tampa Bay centre’s tallies in 2018-19 have come via the man-advantage. Point, who has a total of 33 power-play points, is averaging 1.23 points per game for the Lightning, as the Atlantic Division squad seeks its first Stanley Cup triumph since 2004. Just two goals shy of 50 on the season, one of hockey’s most prolific scorers has rung up 17 power-play tallies on the campaign. Ovechkin, who has a trio of Ted Lindsay Award trophies to his name, is 45 goals away from 700 for his Hall of Fame career. Tampa Bay’s captain has 36 goals on the season, along with 35 points on the power-play. Averaging 1.12 points per game in 2018-19, Stamkos has 143 career power-play goals, including a League-best 24 in 2009-10. Edmonton’s versatile centre, in the midst of his best offensive season to date, has already established career-best marks in goals (43) and points (91). Draisaitl, just two points away from reaching the 300-point plateau, has 38 lifetime power-play goals. Hoffman has been a bright spot in the Sunshine State in 2018-19, setting a slew of personal-best offensive stats, including goals (33) and points (64). The 29-year-old forward is six points away from 300 for his NHL career. Colorado’s fantastic Finn has managed to up his game yet again. Currently in his third full NHL campaign, Rantanen, averaging 1.21 points per game in 2018-19, has 33 points on the man-advantage. The 22-year-old has also established a career high with four game-winning markers.